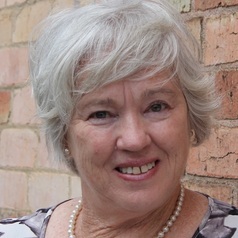 Betty is the founder and former CEO of Mental Health First Aid International (https://mhfa.com.au/) and an Adjunct Professor at Deakin University. Betty has experience as an educator, registered nurse, counsellor and researcher. Having experienced recurrent episodes of major depression, she brings an important consumer perspective to her work. She has facilitated the spread of the Mental Health First Aid Program across Australia and to 23 other countries (http://www.mhfainternational.org/international-mhfa-programs.html). Betty has received numerous awards for her Mental Health First Aid work, including an Exceptional Contribution to Mental Health Services Award and is a Member of the Order of Australia.